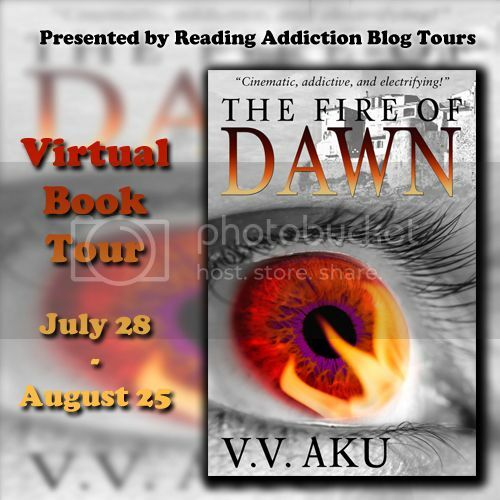 As part of her book tour for The Fire of Dawn, I have VV Aku here today with a guest post about Himalayan Inspiration. As a ‘laowai’ or foreigner with blonde hair and clear blue eyes, I’m used to getting stared at. Curious glances glue to my face, clothes, and chest. I’m the only white girl in town and often the first westerner local people have ever come across. After nearly a decade in southwest China, I’ve lost the urge to stop dead, turn around, and scream. “Has no one ever taught you that it’s rude to stare? !” Being ‘special’ and a social outcast is part of life in this area. As is jumping over blobs of phlegm in the street, dodging men and women on high speed, but deadly silent, motor bikes, and picking out a live chicken at the market whenever I feel peckish for drumsticks. Nowadays, I even find inspiration in the strangeness of my life. The streets are teeming with women in colorful costumes. Their long, flared skirts dance in the wind. Their silver jewelry reflects the bright sun. Men stand around the market place, often selling or buying goats. They are Black Yi, or Nosu, an ancient tribe that dwells in Northern Yunnan and Southern Sichuan. For millennia, they’ve ruled their territory with force that reminds me of Mel Gibson’s Apocalypto, minus the horrible human sacrifices. The Black Yi were robbers, bandits, kings, horse masters, and above all revered by the other peoples of China. Their community has ever been impenetrable to outsiders. Their bloodlines stay pure, for they believe that their black (superior) blood does not mix with the unworthy. Never before was a Black Yi man allowed to marry a non-Yi woman. Not until Anzi Aku turned my world upside down and made me his Nosu bride. My life has changed dramatically. Clan life is forsaking your individual ambitions. Striving for the prosperity of the tribe is key, a concept that was completely alien to me. But even though this way of living is sometimes insufferable, it also serves as a great source of inspiration for the writer in me. Reborn, a different woman altogether from the selfish Dutch brat I once was, I’ve gained access to the Nosu’s greatest mysteries. I mingle in their world of shamans and ancient stories of spirits, demons, and worlds unknown. 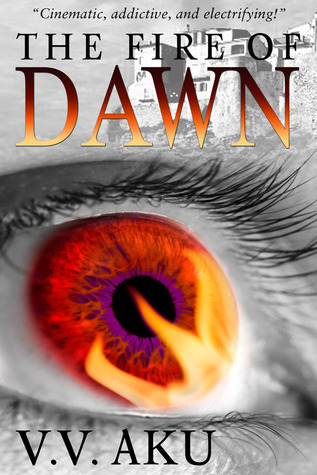 The Fire of Dawn, although set mostly in Europe and Siberia, is a direct result of my encounters with the paranormal in China’s Wild West. Black Dusk, the sequel, is set almost entirely in this strange area that I now call home. V.V. Aku is the author of The Fire of Dawn and Black Dusk. She has been the creator of stories since the age of three, and has a Post-Graduate Diploma in English Language Teaching to Adults from The University of Cambridge ESOL. After nearly a decade of working as an English language teacher and TEFL trainer in China, Thailand, The Netherlands, and the UK, she now devotes all her time to writing, her family, and practicing Kung Fu. While her body craves for fresh victims and her heart drowns in guilt, she meets inhumanly handsome Max Machiavelli, who claims that Leah is an immortal like him. Infatuation ignites into blistering passion when Leah joins his coven in Amsterdam. But as the mysteries shrouding her sudden change to immortality unravel, she quickly learns that her aversion to taking life isn’t the only thing that sets her apart from this group of herculean strangers. This sounds like a great paranormal book! Thanks for the giveaway!